We’ve been listening to your feedback and today we’ve launched The Escapists on Xbox 360! It’s available to download now via the Xbox Games Store, where Gold members can currently save 33% for a limited time! 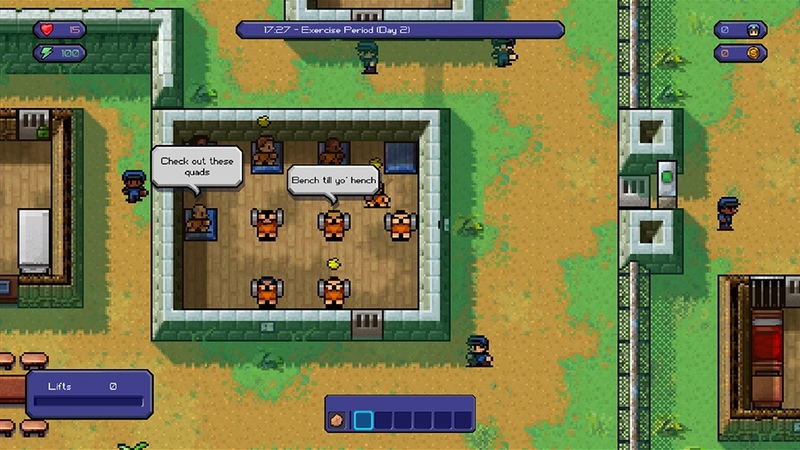 The Escapists provides the opportunity of experiencing a light-hearted insight into everyday prison life. As is the case with all inmates, the main objective is escape! While under the careful watch of the guards, players will need to go about their daily duties clandestinely secreting useful objects from under their captors’ noses. Potential escapees will learn how to craft seemingly innocuous items into useful tools and even weapons as well as using them to execute cunning diversionary tactics. And to celebrate we’re running a competition for prisoners to win one of three The Escapists SWAG BAGS!